Numerous investors, including foreign investors, intend to invest in the suspended Chu Lai Soda processing plant invested by Chu Lai Soda Processing JSC, despite its debts exceeding VND3 trillion ($131.58 million). This is part of a report the Quang Nam People’s Committee submitted to the prime minister. According to the report, Chu Lai Soda has increased co-operation with banks to find a way to resume the plant’s operation as soon as they can. 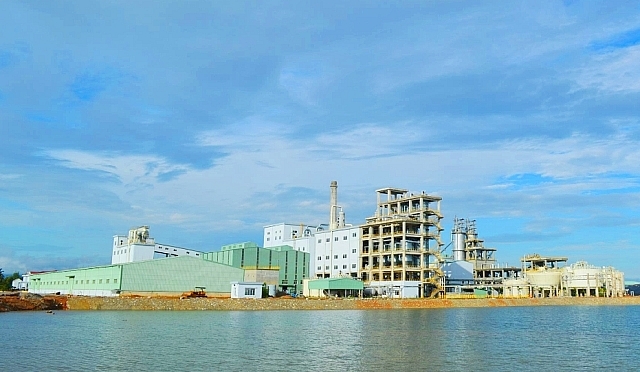 Representatives of Chu Lai Soda and banks to which Chu Lai Soda owes money, arrived to China to join a working session with China Tianchen Engineering Corporation (TCC) and another Chinese firm to discuss plans to resume the plant. According to the Quang Nam People’s Committee, at the date that the plant came into pilot operation, numerous technical problems had yet to be surmounted, causing the consecutive environmental incidents. The investor failed to resolve the technical problems because it ran out of investment capital and failed to collect added capital from partners. As a result, it was forced to suspend the plant. To date, along with the debt of VND2 trillion ($88.1 million) owed to banks and the debt of VND6 billion ($263,170) in unpaid salary to workers, it shoulders more than VND40 billion ($1.75 million) in additional debts. To date, Chu Lai Soda has suffered more than VND3 trillion ($131.58 million) in debts. Besides, to date, Chu Lai Soda paid only VND292 million of the two VND960 million ($42,107) it was issued in fines due to discharging untreated wastewater into rivers. Furthermore, it only paid VND8 billion ($350,893) of the land rental fee of VND54 billion ($2.36 million). Established in 2011, Chinese-invested Chu Lai Soda’s Quang Nam factory has the total investment capital of $120 million. The 60-hectare factory specialises in manufacturing heavy and light soda products, which serve as material to manufacturing glass, construction glass, pulp, and paper.